American Son is a gripping tale of two parents caught in our national divide, with their worst fears hanging in the balance. A Florida police station in the middle of the night; a mother searching for her missing teenage son. American Son is a gripping tale of two parents caught in our national divide, with their worst fears hanging in the balance. This fall, Kerry Washington (Scandal, Race) returns to the Broadway stage alongside Steven Pasquale (American Crime Story, Junk) in the riveting new play, American Son. 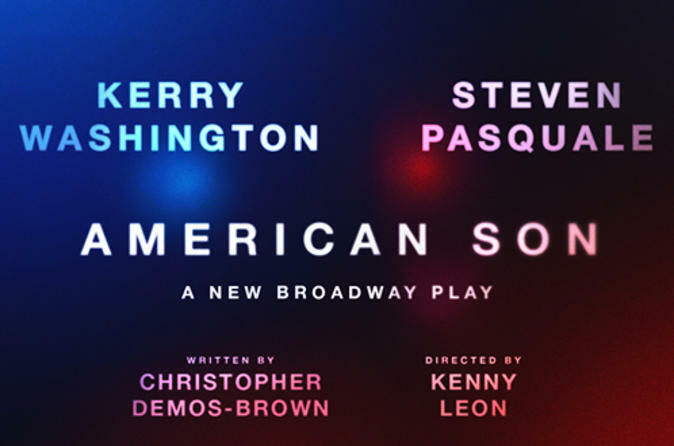 Marking the Broadway debut of playwright Christopher Demos-Brown, American Son is directed by Tony Award winner Kenny Leon (A Raisin in the Sun, Fences).